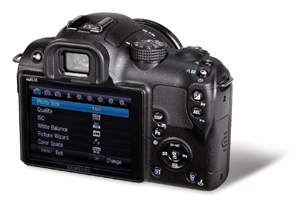 As it is based on the NX10, the NX11 shares the same 14.6-million-pixel, APS-C-format CMOS sensor. And despite early reports that the NX11 would match the maximum ISO 6400 sensitivity of the NX100, in fact it retains the maximum ISO 3200 setting of the NX10. This is a little surprising given that the NX100 also shares the same sensor, yet still offers an extended setting. There are only a few new features offered by the NX11, with the main one being the use of the new i-Function lenses. However, this feature is actually available as a firmware upgrade for the NX10 anyway. The NX11 also has a new lens priority mode, which has a dedicated space on the mode dial on the top of the camera. This works with the i-Function feature to allow you to select a scene mode. It then alters the exposure and image style settings based on the particular lens. Like the two other cameras in the NX range, the NX11 has the ability to save both raw and JPEG images, with raw files saved in Samsung’s SRW format. At maximum resolution, the images created are 3056×4592 pixels in size. 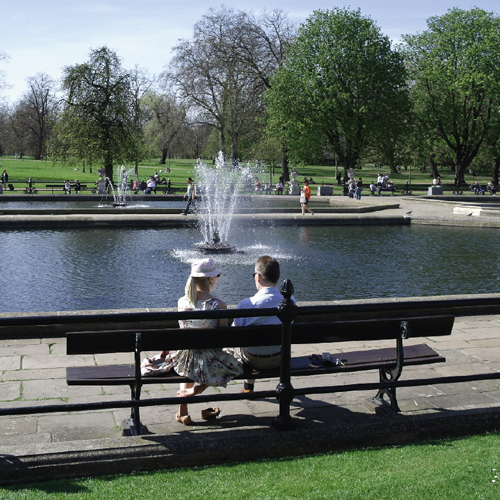 As well as the standard 3:2 ratio images, a 16:9 ratio is also available, as well as a 1:1 square format that is new to the NX11. Panorama mode is another new feature. Accessed via the mode dial, the new picture format allows panoramic images to be created by moving the camera in a sweeping motion, either horizontally or vertically. It works in much the same way as the sweep panorama mode in Sony models. Curiously, it is possible to record a short 11sec audio clip with a still image. The audio is saved in the WAV file format, with the same file name as the image. While this may be of limited appeal, it does have its uses. For example, if you plan to make a slide show of your images, it might be nice to record some ambient sound from the location to play over them. It is also useful for recording details of where and how an image was taken. A last point is that Samsung has now upgraded the autofocus, but more about this later.